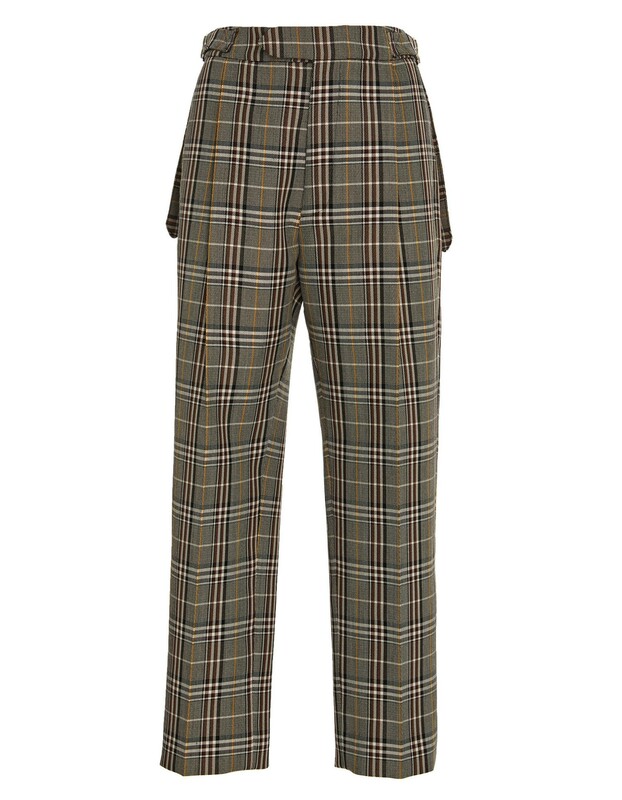 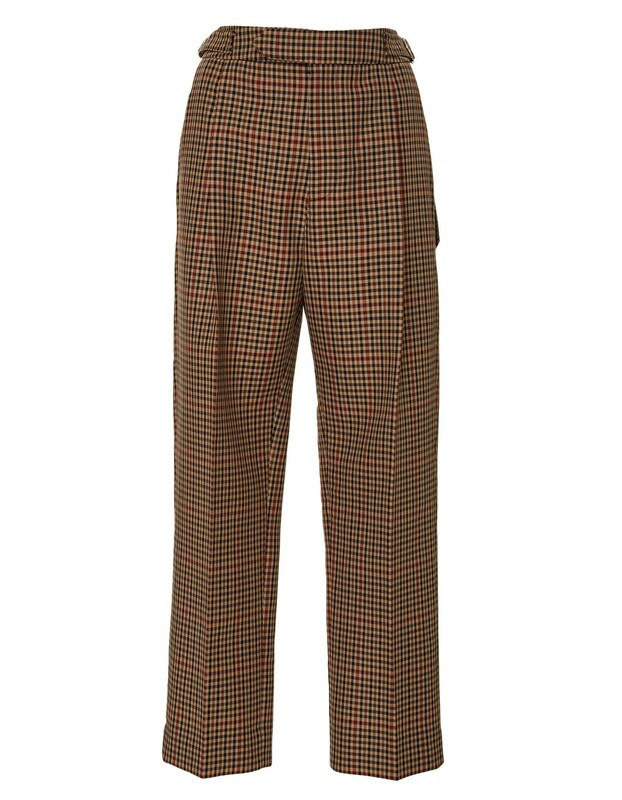 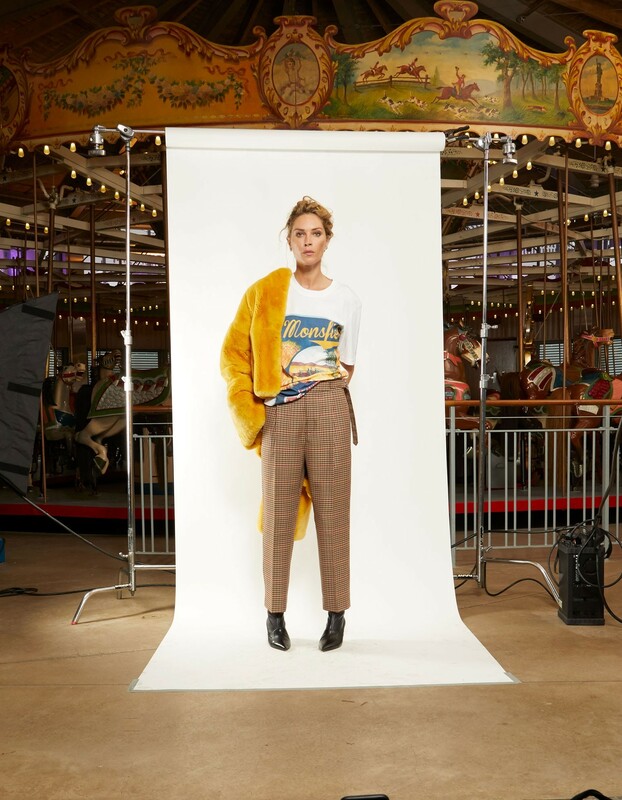 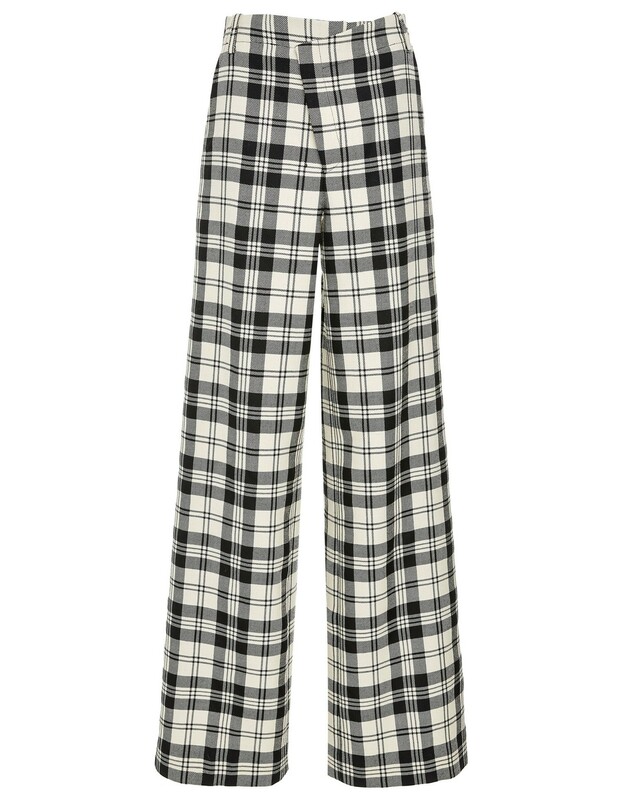 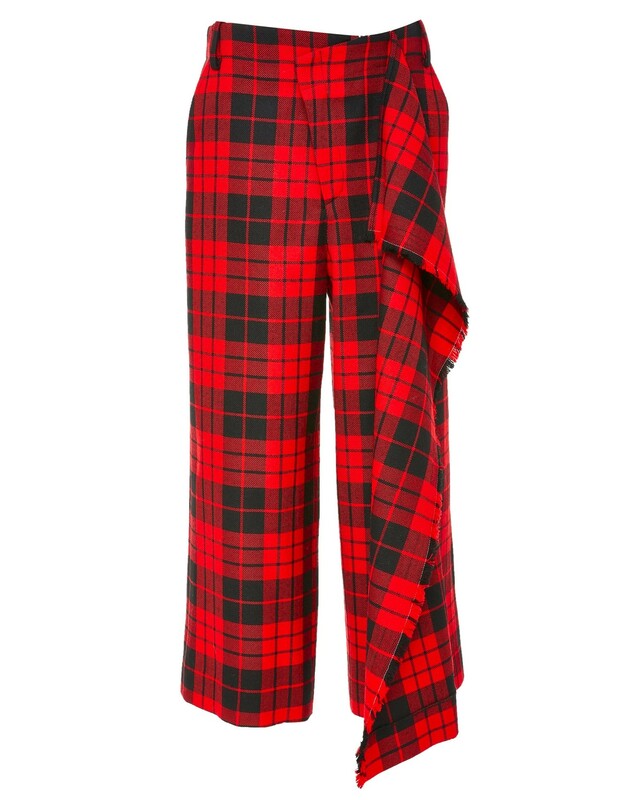 This wide leg crooked trousers were designed to look effortlessly cool and classy. 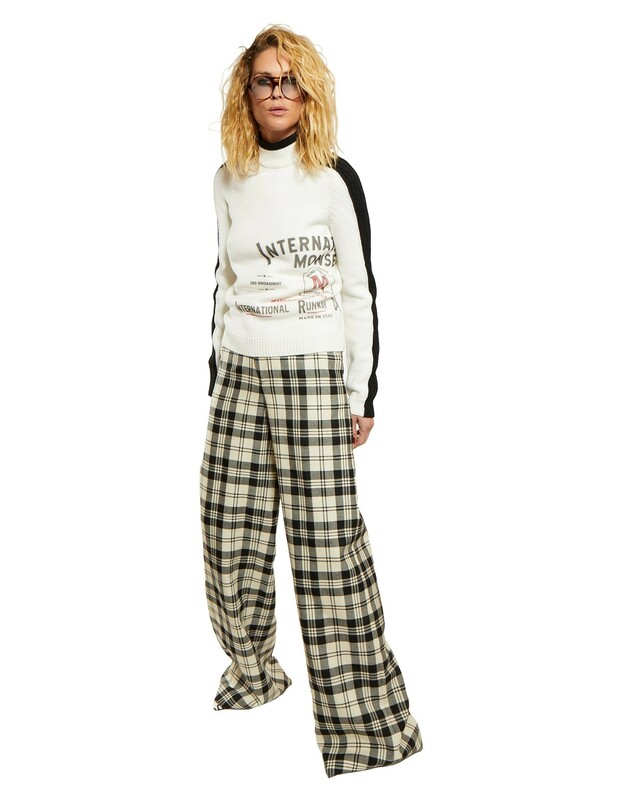 Crafted from a blend of white and black wool, it features an asymmetrical wrap front, a flattering high waistline and a wide-leg silhouette. 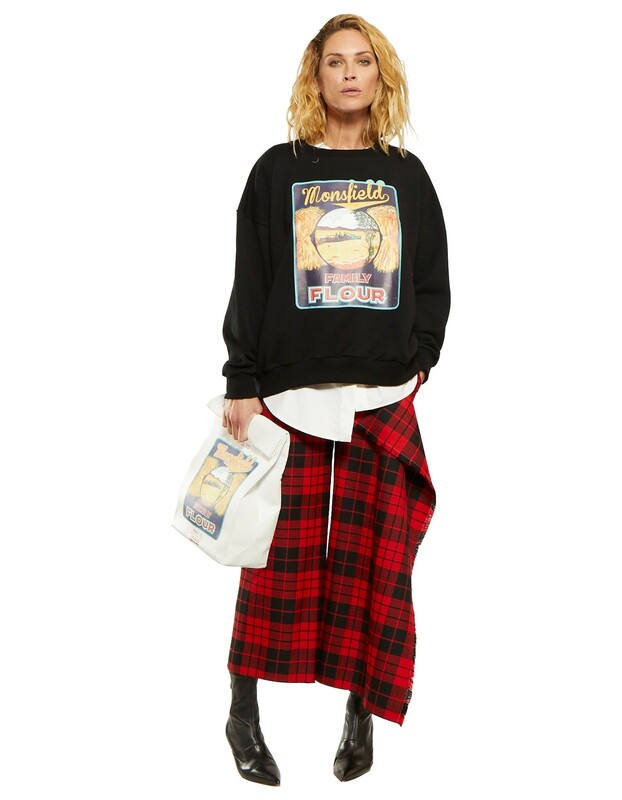 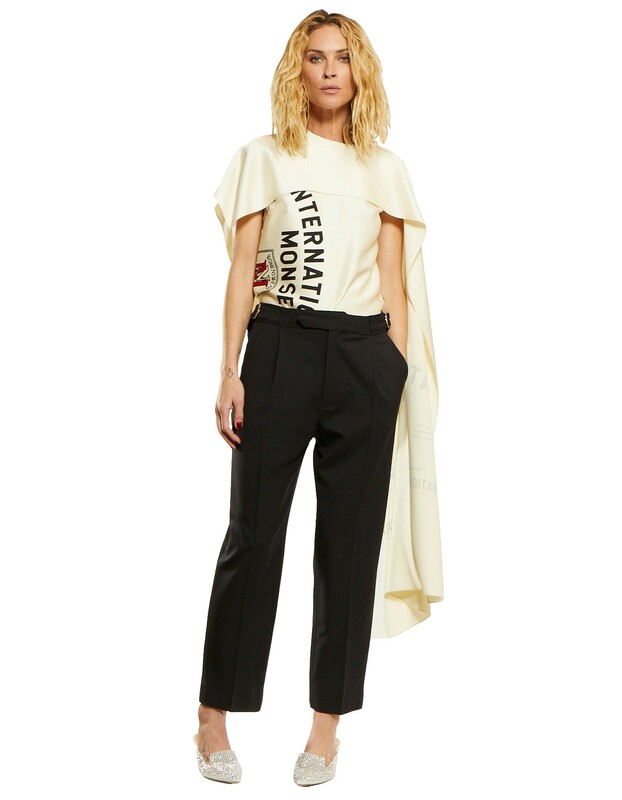 Match yours with a MONSE International Sweatshirt and loafer heels to complete the look.